Now Latvia, c. 1910. 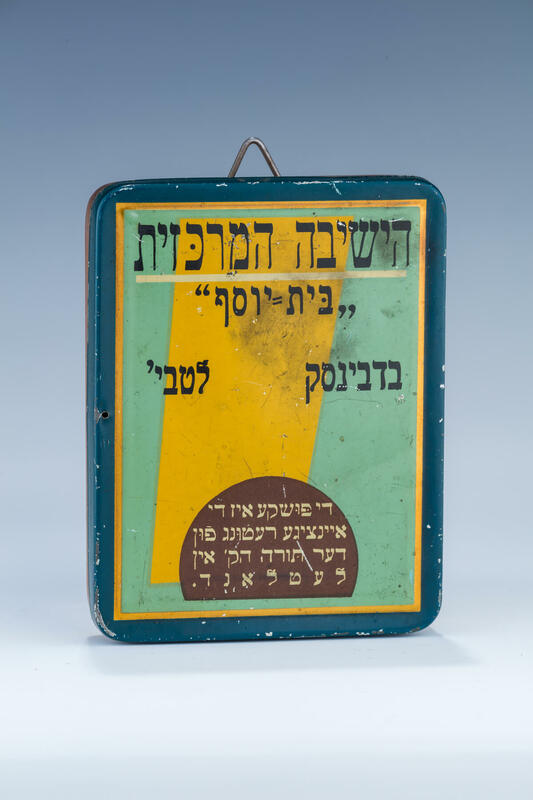 Painted tin with Yiddish and Hebrew wording indicating that the “pushke” was collecting funds for they Yeshiva of Dvinsk. 4” tall.